Such wonderful summaries of many of history's great thinkers' insights into human existence. Compassionately presented and, imho, well structured and ordered with references to previously introduced philosophies to assist the "climb" to greater understanding of and deeper meaning for my life and the lives of those whom I encounter. From asking a waiter for an unusual substitution to urging a service manager to get your car finished sooner to swaying your significant other toward a particular film or show, many of the decisions you make are decided by talking. And no matter why you engage in face-to-face talk, there's no way to insulate yourself from the dangers of miscommunication. These 24 mind-opening lectures are your chance to learn more about how you communicate verbally, the common problems you can encounter in doing so, and how you can improve your own effectiveness. Do yourself a favour, get what you want. 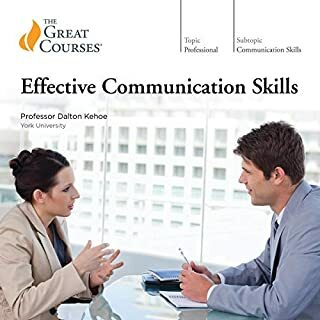 I have learnt much from these insightful lectures about communication. 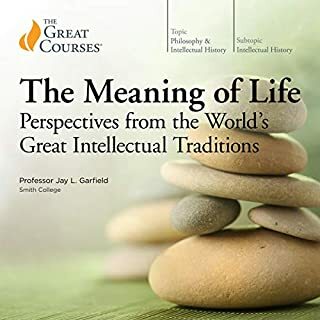 It is my belief that the Great Courses series is one of the best resources available to me for private education. I now feel that I am better prepared to navigate the world around me as an effective communicator. Fully recommended.